Ivy always believed in angels. When she meets Tristan, it's the love of a lifetime. When he dies, her heart is broken and her belief in angels vanishes. And without that belief, she is unable to feel Tristan's presence when he returns--as an angel. Now Ivy is in terrible danger, and Tristan is struggling to save her. How can he protect her if she's lost her faith in angels? 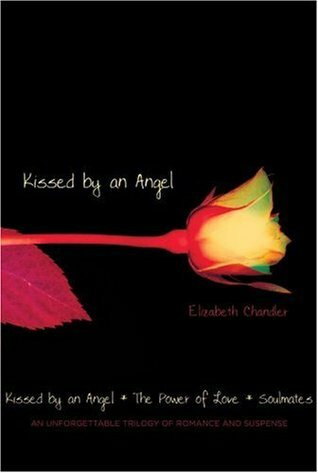 Kissed By An Angel is an omnibus (meaning several books bound together in one, just in case anyone didn’t know) and includes the novels Kissed By An Angel, The Power of Love, and Soulmates. But I’m reviewing them as a whole. Please, don’t pay attention to he Celine Dion-esque titles of the books. They are amazing. Heartbreaking, breathtaking, gut wrenching…. AMAZING. I instantly got into the books, into Ivy and Tristan’s story. Ivy and Tristan’s relationship was so real; this is one of the best YA love stories have read in a long time. They were so sweet together and Tristan was such a gentleman and a general all around cutie pie. Ivy herself was my favorite character. She had a lot going on in her life and dealt with all of it as it came. Her emotions were raw and piercing, yet she still retained that sense of self that will sometimes get lost in novels like this. But the character that came in for a close second is Gregory. Talk about bad boy. He was extremely hot and appealing, except he was… well… insane. But I guess that’s half the attraction. This is one of those very few and rare novels that really touched me and left me feeling such tumultuous emotions even after I finished it. It left me both heart broken and happy all at the same time. It is also one of the select few that actually made me slightly teary-eyed. This is a definite read for romance lovers, paranormal lovers, and anyone just looking for a great story! Add Kissed By An Angel of Goodreads and Shelfari. I actually have this book and I started it but just couldn't get into it. Your review convinced me to give it another chance though lol. Wow, thanks to your review I now have to read this book!! It looks so good! Awesome review! I bought this a really long time ago and never read it, now I'm curious to know what it's all about. Thanks for the review (and I didn't know what omnibus meant lol).